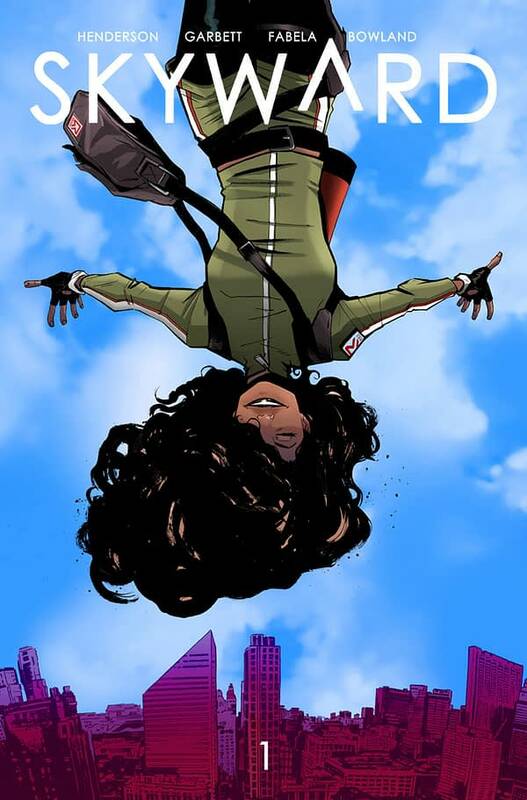 Writer Joe Henderson, also known as the showrunner of Fox’s Lucifer, and artist Lee Garbett, who drew the Lucifer comic for DC as well as similarly themed Loki: Agent of Asgard for Marvel, team up for an all-new gravity-defying comic book series in Skyward. SKYWARD is an adventure-filled exploration of our world turned upside down and a young woman’s journey to find her place in it. Published by Image Comics, it will be out on Wednesday, April 18th.